Railing in several styles including pre-shaped sections for upswept bow, vertical and inclined ladders, aircraft catapults and recovery crane, cable reels, 20mm gun armor shields, funnel cap grilles, Mk. 37 director radars, SK, SK-2, Mk. 3, Mk. 27, and SG radars, ECM antennas, yardarms, bridge window frames, aircraft propellers, watertight doors, and assorted bulkhead details. 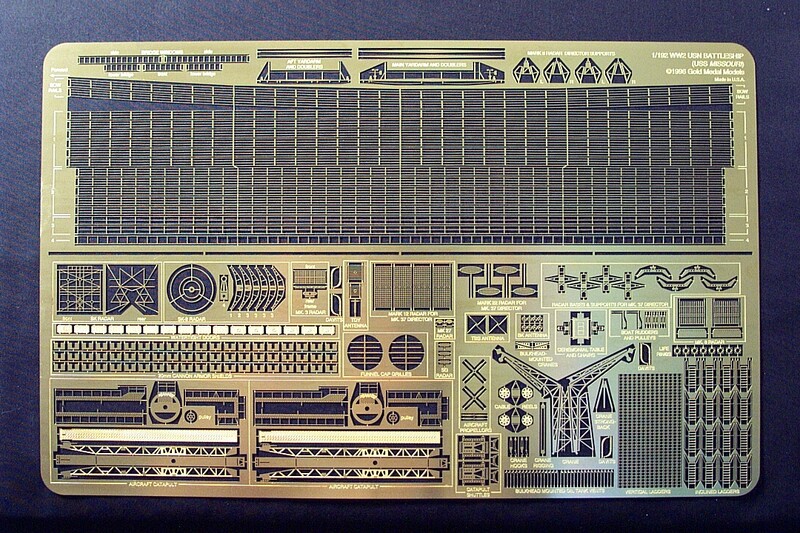 SCALE AVAILABLE: 1/192 - For scratchbuilt models. Includes surrender table & chairs.